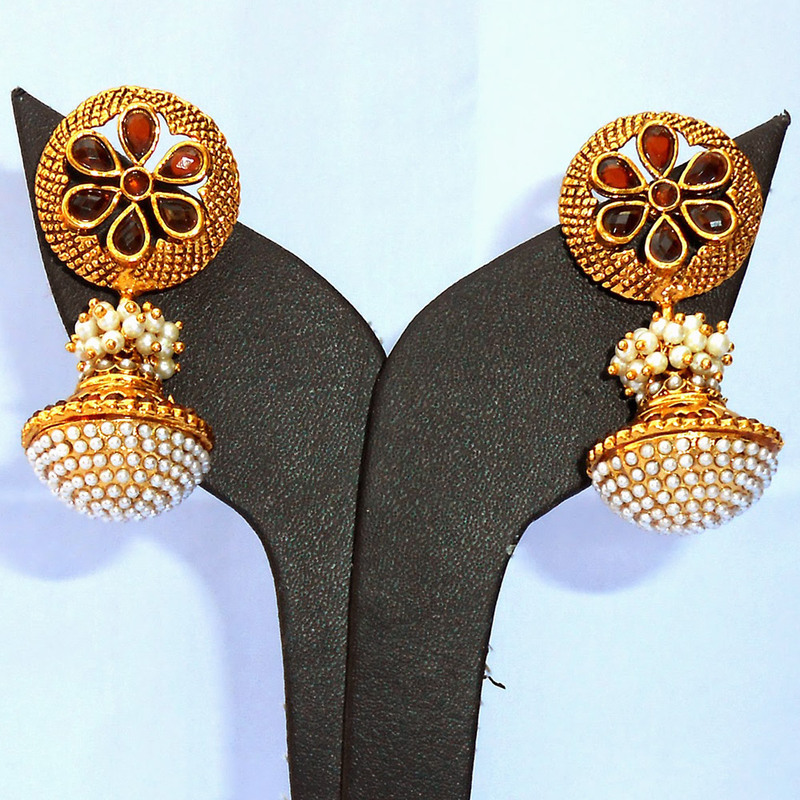 This pair of stylish red ram leela earrings can be the perfect choice for those girls who possess a profound sense of fashion, and are Read More..willing to try out new designs. The stub on this piece consists of six teardrop shaped red stones along with a smaller red one bang in the middle. A gold plated brass casing holds it all together. Below it, a brass casing studded with pearls dangles to provide an aesthetic touch to the entire piece. This pair of earrings can be the ideal choice for all those women who wish to look fashionable in a trendy and yet traditional way. Show Less..